As it struggles to boost sales amid an economic slump, Chrysler CEO Sergio Marchionne says the automaker will have a "difficult" time making a net profit in 2010. Marchionne offered no guidance for the company's performance in the third or fourth quarters of the year, Reuters reported. Chrysler, the No. 3 U.S. automaker, reported a net loss of $172 million in the second quarter and $197 million in the first quarter. Marchionne said he is "satisfied" and that the company is "well ahead of plan" for its post-bankruptcy phase. Chrysler left its U.S. government- supported bankruptcy in June 2009 under the control of Italy's Fiat SpA. 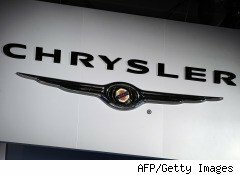 Marchionne said that Chrysler would be showing net profits if it had not borrowed from the U.S. Treasury so it would have operating cash. Marchionne did not comment on a possible Chrysler IPO. General Motors, which also entered a U.S.-government sponsored bankruptcy, has filed for an IPO.